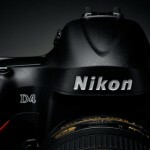 Adorama currently has refurbished Nikon D4 cameras for $2,995.95 with free shipping (lowest price so far). This deal is available on their website and on their eBay store. Only 3 units were left at the time of this post. The cameras are refurbished by Nikon USA and come with 90 days USA warranty.